Didn’t we all see this one coming? 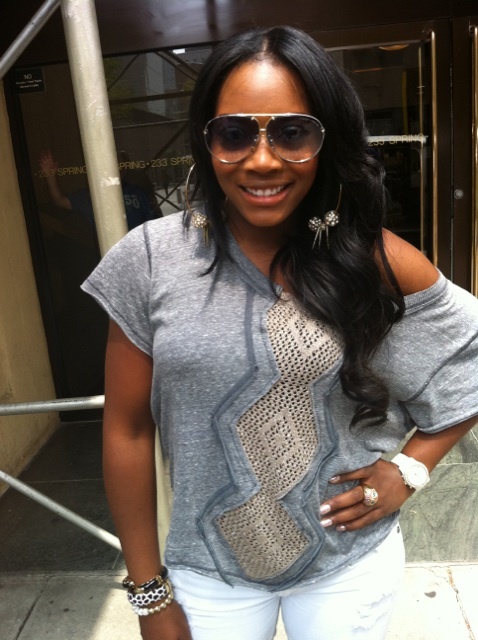 If you watched the reunion of VH1‘s “Love & Hip-Hop”, then you know Chrissy had some bad choice of words for the show’s executive producer Mona Scott-Young and co-producer Yandy Smith (music/talent manager and Jim Jones’ former manager). It is being reported that Olivia, Yandy Smith, Emily, Kimbella, Erica Mena and Somaya have already signed on for the third season. 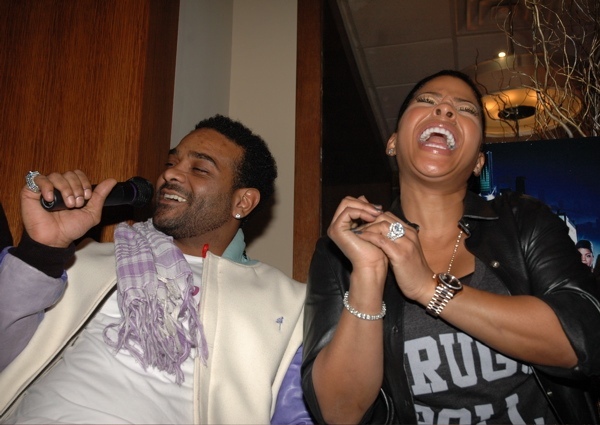 Jim Jones and Chrissy never signed on. Many people thought it was because of financial reasons, but I knew from the start that it was because they wanted their own show and it look like VH1 granted them their wish. 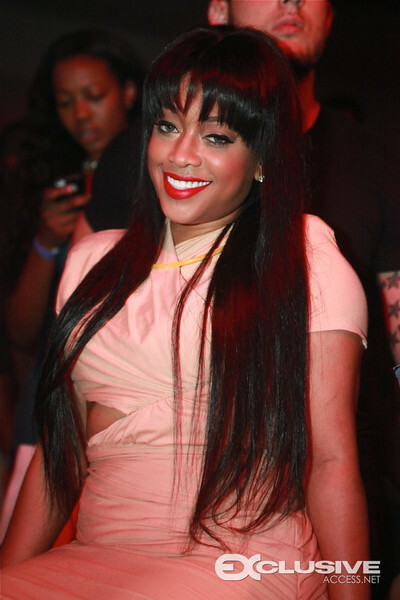 On the biggest lesson learned from “Love and Hip-Hop”. On whether or not she’s spoken to Jim Jones. On her upcoming work with Missy Elliot. Read the full interview over at the TheJasmineBrand. 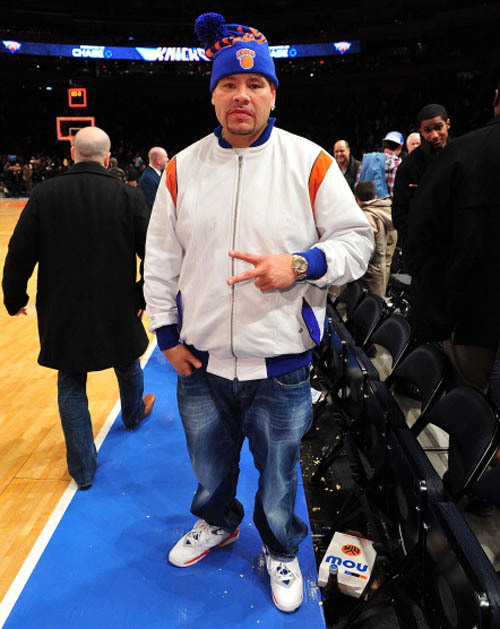 Fat Joe was spotted at a recent Knicks game in the Fred Jones “TS” Air Jordan 8. This is the version Jones wore in his debut season with the Knicks. 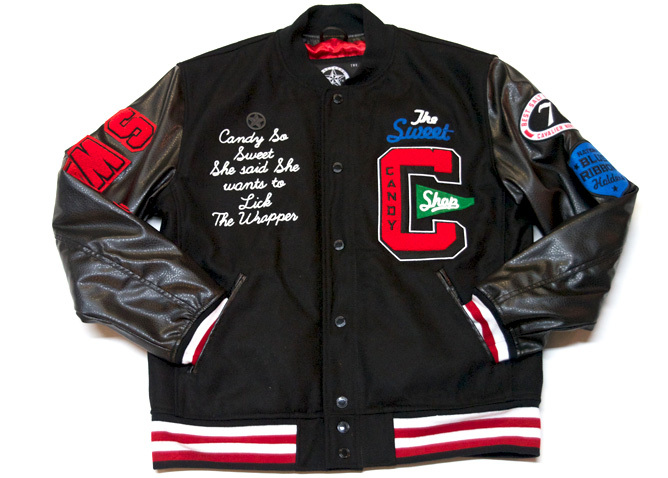 It also features “TS 2″ stitched on the side. 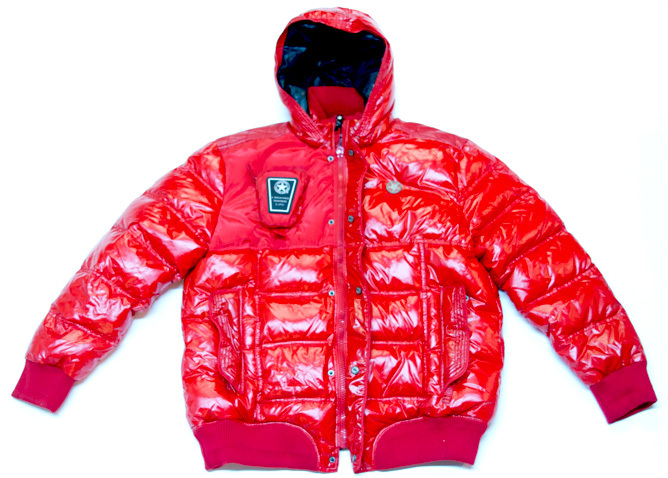 “2″ represents his jersey number and ‘TS’ stand for “Terror Squad,” Fat Joe’s group. Fred Jones and Fat Joe are good friends. Joey was recently on 106 & Park. He talked about his weight loss, being healthy, new music, and premiered his new video to his song “Another Round” Ft. Chris Brown. 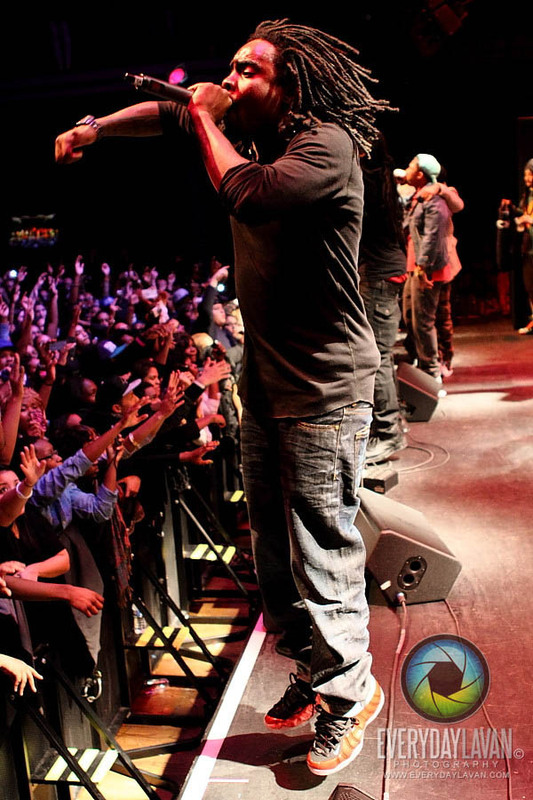 MMG rapper Wale performed in Maryland in a pair of “Metallic Red” Nike Air Foamposite One. This sneaker was already released at some sneaker retailers. The Nike Air Foam One “Metallic Red” features a black nubuck running along the eyestay and vamp, as well as black mesh on the tongue and inner bootie. Swoosh branding on the toebox is embroidered in white, while Penny’s 1 CENT logo on the heel is stitched in red. Below, a black carbon fiber shank plate and translucent rubber outsole cap off the look (source). 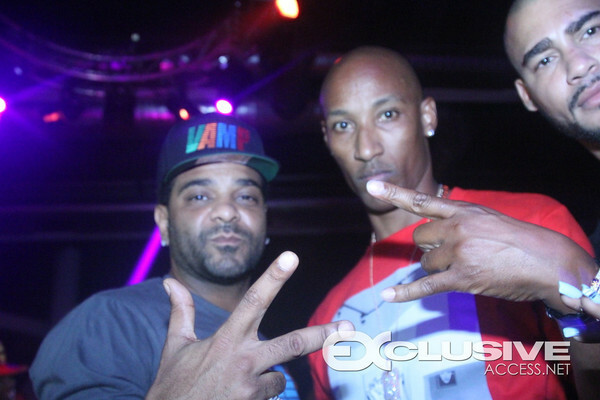 Harlem’s rapper Jim Jones brought in the New Year’s with his homie Sin City. 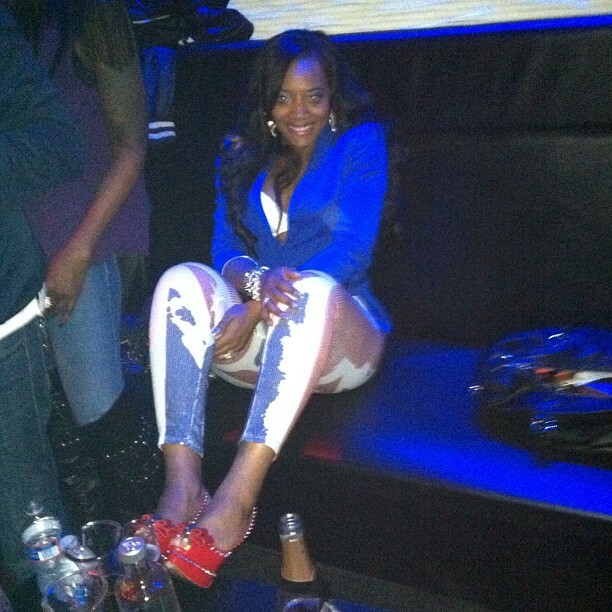 Capo was wearing a pair of “Concord” Air Jordan 11. This sneaker features specs that include a carbon fiber spring plate, ballistic nylon uppers, a rubber outsole with herringbone traction pattern, quick lace system, carbon fiber sheath and air sole. 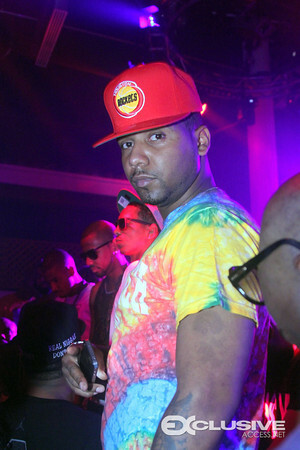 Jones is in the studio with Cam’ron working on a collaborative album, entitled Fly Boys. 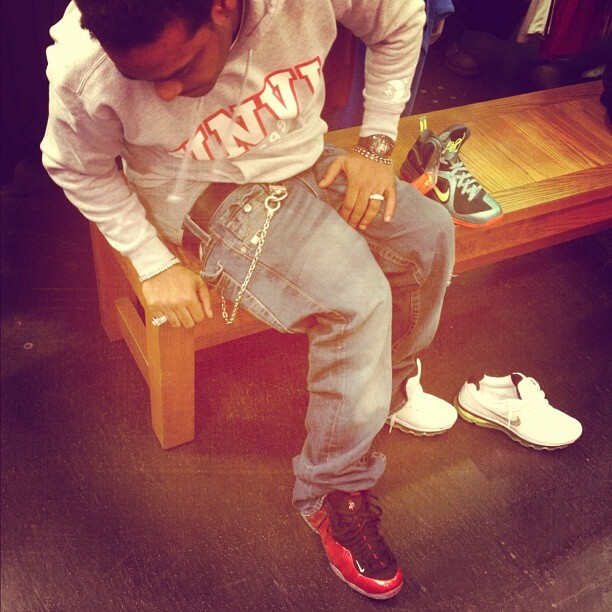 Jim Jones was spotted inside of a sneaker store trying on a pair of Nike Air Foamposite One “Metallic Red” sneakers, which was already released at some sneaker retailers. The Nike Air Foam One “Metallic Red” features a black nubuck running along the eyestay and vamp, as well as black mesh on the tongue and inner bootie. Swoosh branding on the toebox is embroidered in white, while Penny’s 1 CENT logo on the heel is stitched in red. Below, a black carbon fiber shank plate and translucent rubber outsole cap off the look (source). 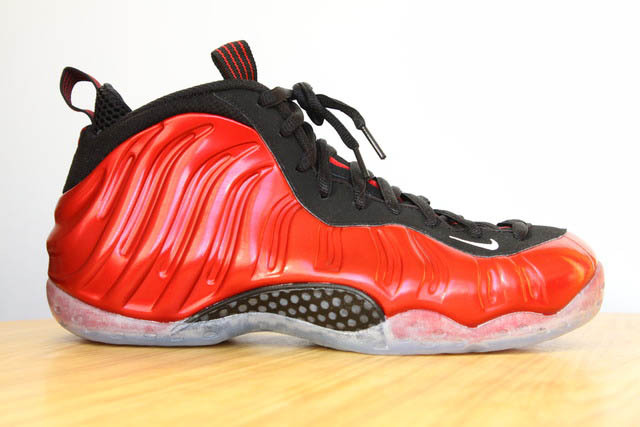 I am a fan of the Nike Foamposite and these sneakers are dope. Are you feeling them? 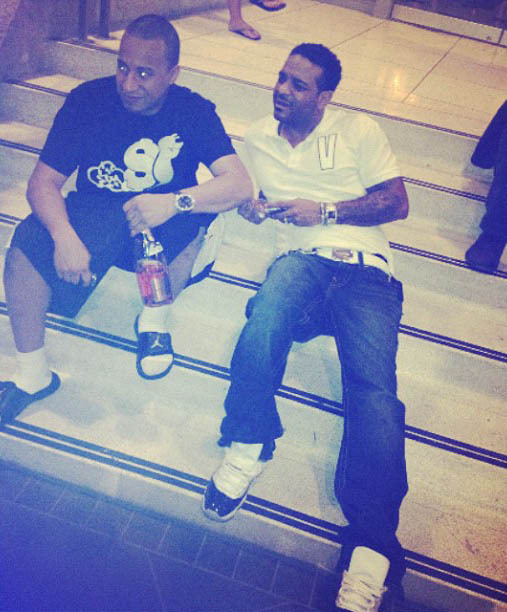 Tagged as Jim Jones, Nike Air Foamposite One "Metallic Red", Sneaker Me Dope: Jim Jones Trying On A Pair Of Nike Air Foamposite One "Metallic Red"
Now you’re a HU alumni, how did going to college help you get your foot in the door? It was really persistent for me to get into the music industry. I am a Howard University alumni but in music what I come to find ,a lot of the stuff I’ve learned in college, I haven’t had to apply it. I was a business management major, with business management I had to take finance, accountant, and business law. All those different things added a little salt to who I am but we have lawyers that cover our contract. I have accountant to handle my mone. I have a financial advisor to handle my finances. Was it easy to break into the field? Two months after I graduated, I moved back to New York. A friend of mine had a meeting at Violator and I went with him. I was just sitting in the receptionist area, while I was sitting there, I saw artists come in and out, everybody was laughing, talking loud, music playing. I was like “is this a job or is this a hangout.” At that time, I wanted to get into entertainment law, so I thought maybe God brought me here for a reason. I was just persistent, I got the number to the receptionist and I would call her everyday, then I found out Mona’s assistant number and I called her everyday. Every time I was in Manhattan, I would stop by the office to act like I was saying hi to the receptionist. Every time I went or every time I called I asked if they needed help. I did that for about 3 weeks and finally they gave me a job/internship. 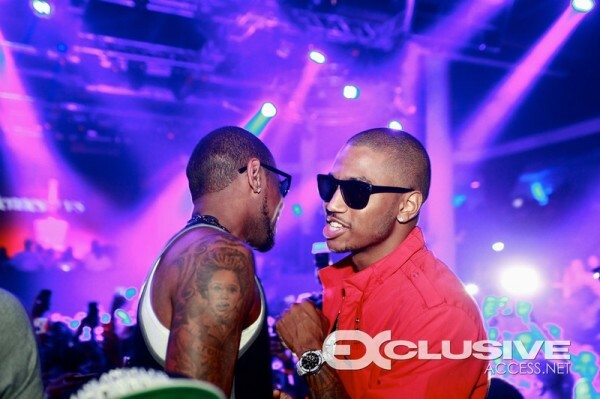 Love & Hip-Hop is heating up. You’re one of the creators of the show along with Mona Scott Young? 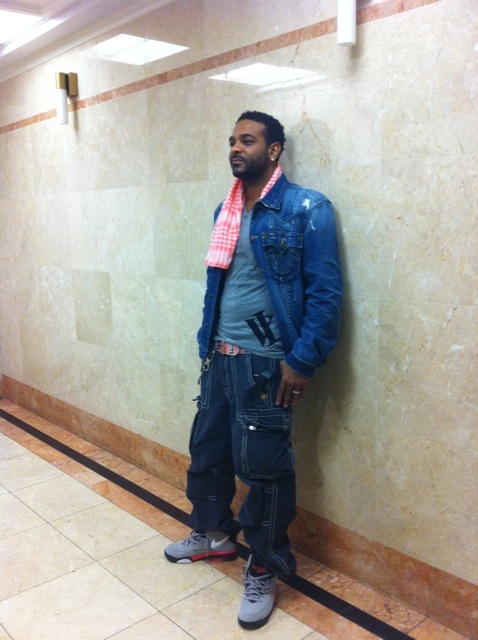 Harlem’s rapper Jim Jones was spotted styling on them lames in a pair of $178 True Religion Men’s Anthony Cargo Pants with a blue denim True Religion jacket. Jones was also wearing a Fendi logo belt. I like Jones style, he be getting splashy on them lames. 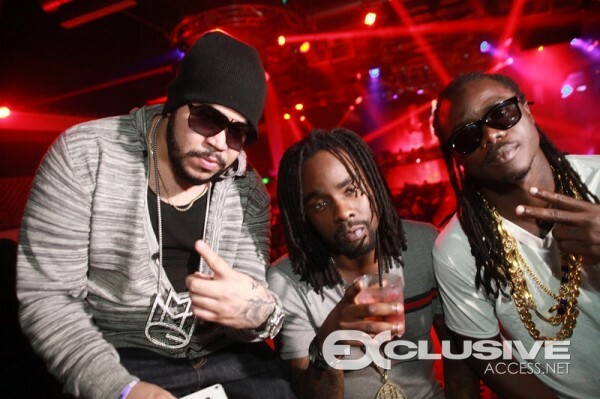 Maybach Music Group rapper Wale was spotted on the set of his “Slight Work” Ft. Big Sean video shoot. The D.C. native was wearing a College Fendi belt from the 2011/2012 collection. 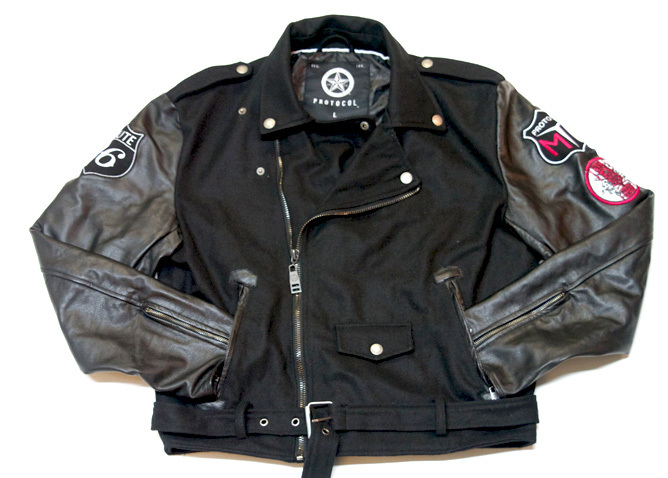 All products in this post are available online at www.parish-nation.com. 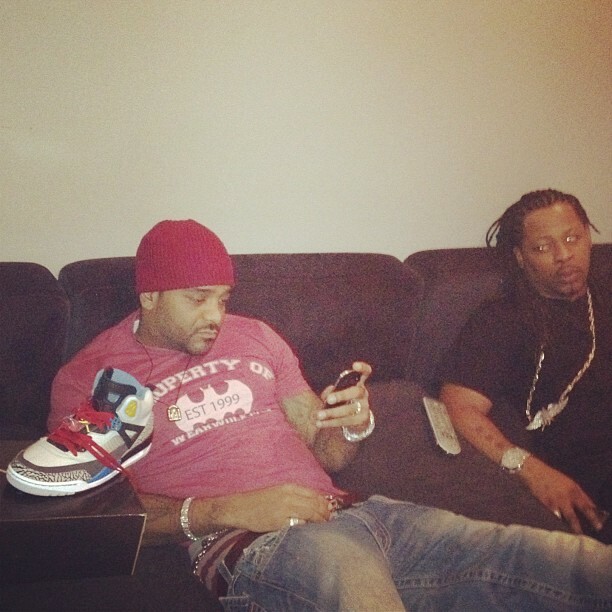 Harlem’s hustla and rapper Jim Jones was recently photo’d on his blackberry rocking a red Vampire Life tee-shirt with the matching skully. 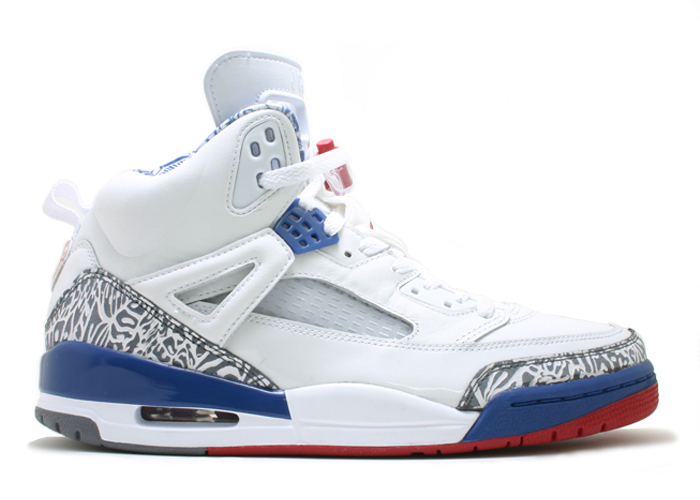 Jones was also showing his brand new Air Jordan Spiz’ike. These sneakers were initially nicknamed the “retro Frankenstein.” There will be more colors of the Air Jordan Spiz’ikes released. Last month, Jones dropped his new mixtape, entitled Vampire Life. The disc features collaborations with Meek Mill, Jadakiss, Lady H, Maino, 2 Chainz, Chink Santana, J.R. Writer and more. 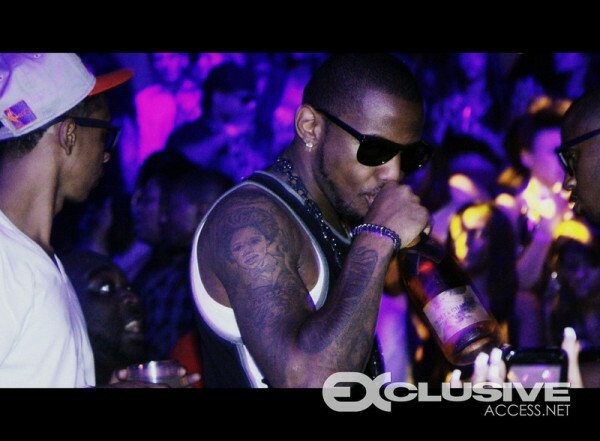 Be sure to catch Jones on season 2 of Love & Hip-Hop, Mondays 9pm on VH1. 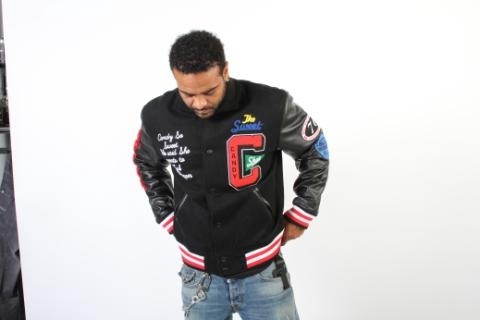 At a recent photo shoot, rapper Jim Jones was styling on them lames in a varsity jacket. 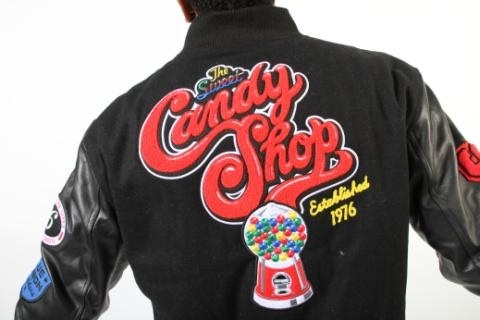 Don’t quote me but if I’m not mistaking the brand of the jacket is Protocol and will be available the week of Thanksgiving. Yesterday Monday (October 31), Jones dropped his new mixtape, entitled Vampire Life. 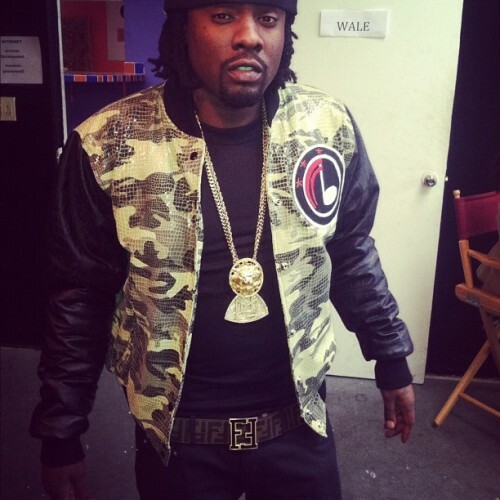 The disc features collaborations with Meek Mill, Jadakiss, Lady H, Maino, 2 Chainz, Chink Santana, J.R. Writer and more.